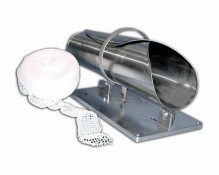 Zanduco carries a large selection of meat stuffing equipment, in a wide variety of sizes and material. 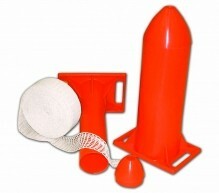 Plastic net applicator tubes available in five different sizes, ideal for both small and large establishments! Roast Beef Tyer stuffing horns available in small, medium, and large, and accommodate a wide selection of varying roast beef netting size. Ensure that you are netting your meat to make the cooking process easier and less of a hassle! Netting your meat products allows you to retain maximum moisture and flavour. Make the appearance of your roast and other meats consistent. Offer your customers different flavours of stuffed chicken, salmon, pork and more, by making them mess-free! 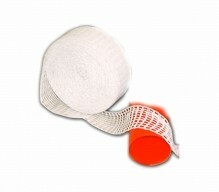 Stuffing horns make the netting process easy, and is ideal for boneless and semi-boneless cuts of meat.